Lakeview homes and condos are situated within a neighborhood brimming with history and culture. From its beginning, Lakeview was a popular residential area and many of its historic houses date from the 1800’s. The name Lakeview is thought to have come from the Hotel Lakeview, built in 1853, which offered an unobstructed panorama of Lake Michigan and the Chicago lakeshore. Following in that tradition, many modern Lakeview condominiums boast some of the best views in Chicago. Today, Lakeview is home to a diverse community with residents of all ages and backgrounds. 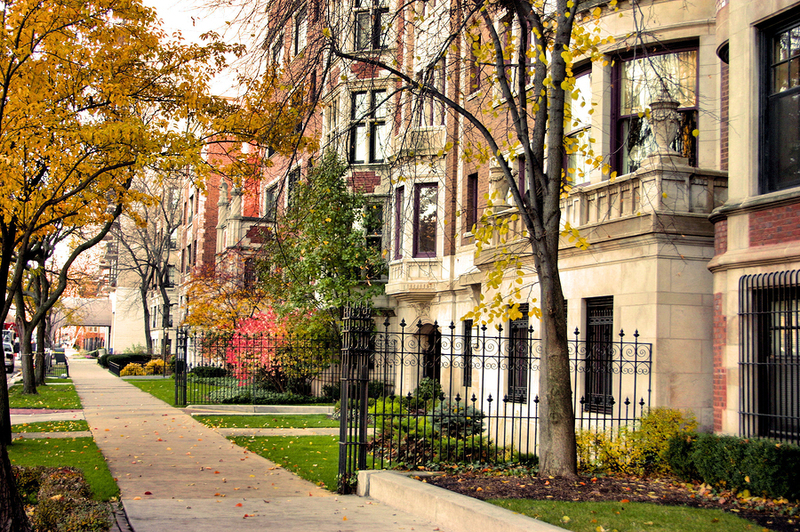 Today, Lakeview is one of Chicago’s largest and most popular neighborhoods, located just north of Lincoln Park. It is bound by Irving Park Road to the north, Diversey Parkway to the south, Lake Michigan to the east, and Ravenswood to the west. It is home to many of the city’s trendsetting shops, restaurants and entertainment spots, including theaters, clubs and music venues. For more information about Lakeview condos for sale, contact local North Side real estate expert Helaine Cohen today at (312) 953-0961! View all Lakeview condos, townhomes, and houses for sale below or keep reading about this wonderful community. Be sure to register for free to access complete MLS® listing details, including photos, area maps, and more! Several distinctive small neighborhoods make up the Lakeview real estate market, including Wrigleyville near Wrigley Field, home of the Chicago Cubs, as well as Roscoe Village, Belmont Harbor and Lakeview East. Main shopping areas include Clark Street, Belmont, Broadway and Southport. Local landmarks include the Century Mall on Clark Street, which houses a seven-screen movie theater, the historic Mercury Theater, and Music Box Theater on Southport. Because of the proximity of all these wonderful amenities, Lakeview Chicago real estate is popular with people from all walks of life. Condo properties for instance, offer the perfect solution for buyers who want all the perks of a great area without the price tag of a full-sized home. Learn more about Lakeview condos for sale below. If there's one thing to know about Lakeview condos for sale, it's that options potential buyers have here are broad and diverse. From towering lakefront high rises with a full compliment of amenities to the countless vintage and courtyard style condo buildings that are so common all throughout the entire Lakeview neighborhood, there certainly seems to be something for just about everyone here in Lakeview, regardless of preference or budget restrictions. Throughout Lakeview's different sub-neighborhoods, you'll of course find all different types of condos, but one particular part of the neighborhood isn't necessarily known for a particular style of condo development. Instead, a nice mixture of condominium residences are a part of each sub-section of Lakeview, however, the one key difference is that there is of course a higher concentration of high-rises the closer you get to Belmont Harbor and the Lakeview waterfront. High-end, newer construction single-family homes are becoming quite a bit more common here in the Lakeview neighborhood, especially around the Wrigleyville, Southport Corridor, and West Lakeview parts of the area. Expansive, multi-story homes with some of the most luxurious finishes you'll find anywhere are only part of the story when it comes to many Lakeview single-family homes, while the area's highly touted schools have also attracted local Chicagoans with kids who might prefer a bit more living space or privacy when searching for that perfect new place to live in Chicago. Ready to settle down in a Lakeview property? Contact Helaine Cohen for more information on how you can call the Lakeview area home! 2800 North Lake Shore Dr.
3100 North Lake Shore Dr.
3180 North Lake Shore Dr.
3200 North Lake Shore Dr.
3300 North Lake Shore Dr.
3400 North Lake Shore Dr.
3500 North Lake Shore Dr.
3520 North Lake Shore Dr.